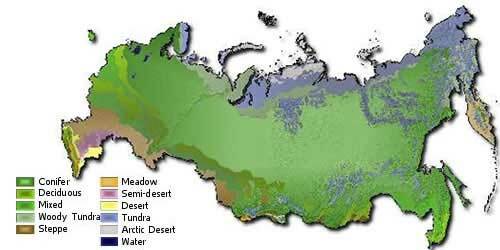 Russia occupies more land on the planet than any other single nation. What Russia and its citizens choose to do with that land can have a major impact on the rest of the world. Semi-desert – In this zone, there are xerophytic grasses and shrubs. Fauna common to this region include the wildcat, saiga antelope, and a variety of lizards, snakes, and tortoises.